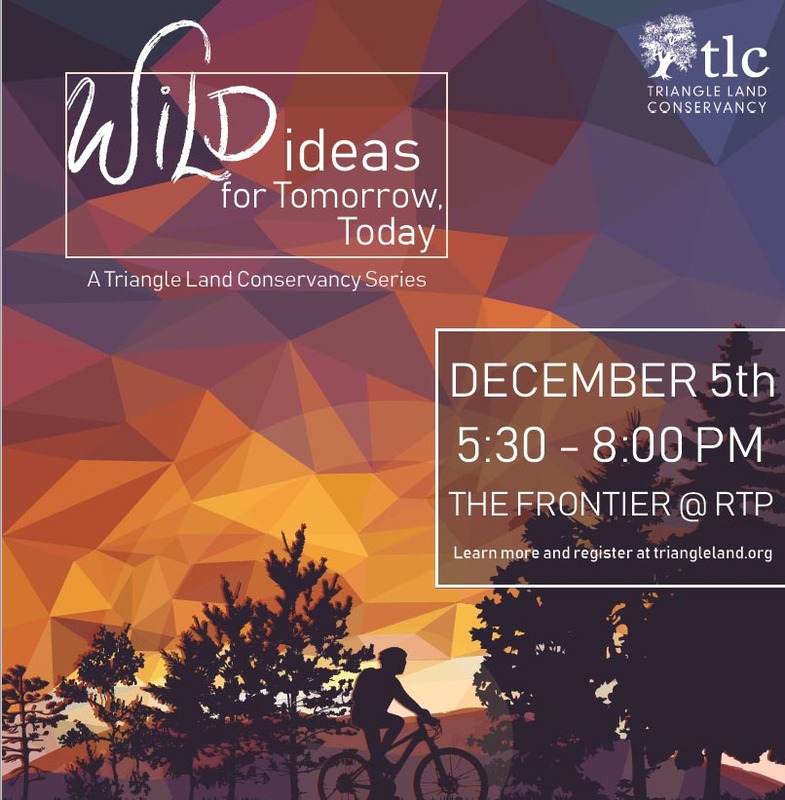 Triangle Land Conservancy's Wild Ideas series features 5 fast-paced presentations introduced by an emcee then is followed by an Expo of organizations, groups, and businesses actively working in fields related to the theme. This year, at Wild Ideas for Tomorrow, Today, we'll step into the future of Triangle population growth trends, our changing climate in the Piedmont, who will carry the legacy of the land, and what Triangle Land Conservancy envisions as we continue to preserve "land for tomorrow." Free local food and beer will be provided, and the event is free of charge.